Our next concert will be on on July 14th, when we will be singing at the Bandstand in Priory Park, Southend. For up-to-date news, please see our facebook page. 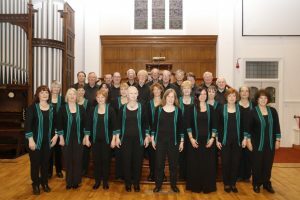 Gaudeamus is a chamber choir of about 28 voices, based in Leigh-on-Sea, Essex. Since we were founded in 1988 we have grown from strength to strength and have developed a reputation as one of the elite choirs of Essex. We sing a wide range of music, from the middle ages to the present day, unaccompanied and accompanied by piano, organ or orchestra, but we are particularly noted for our unaccompanied a cappella singing, be that Byrd, Bach, Stanford or Cole Porter. You can hear some of our music here. In our local area we perform at many churches including St Mary’s Prittlewell in Southend, Highlands Methodist Church and St Clements in Leigh-on-Sea, and Barling , and on a lighter note, outdoor concerts at Southend Bandstage.